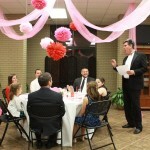 A great time was had by all at this year’s Father Daughter Valentines Banquet. A big thank you goes out to all who helped make this year’s event such a great success. Mark Your Calendars for Westminster’s 2nd Annual Crawfish Boil! 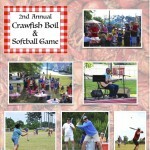 We hope everyone is looking forward to this year’s crawfish boil and softball game. This is a great family event that you do not want to miss. Mark your calendar’s now for April 16. Photos on the WPC Facebook page.